When I received the photo of this mild customized 1941 Ford convertible, I noticed the odd looking hubcap. For some time I thought the single bar flipper had been hit by something, the flipper partly broke and half of the flipper was turned upwards. 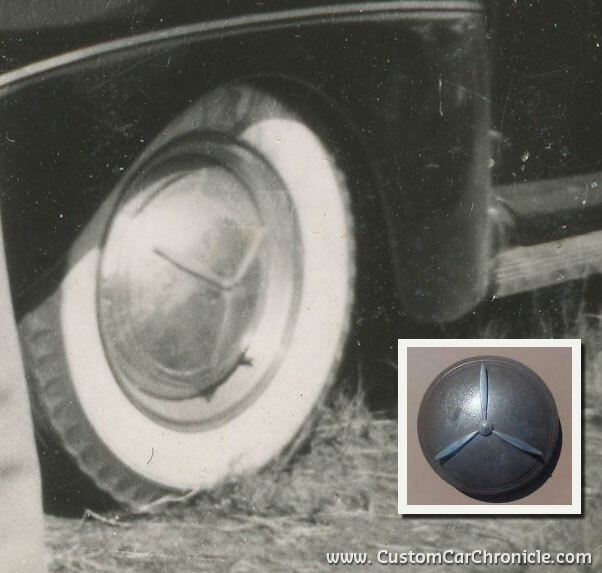 Some month after this photo was added to the Custom Car Photo Archive, we found a very small photo of a three bar spinner hubcap on the internet. It came from a long gone eBay advert and there was no way of tracing its origin. I recognized the hubcap with its propellor shaped spinner, right away from the photo in our collection. I thought for some time that it was a damaged single bar flipper that left a mark where it used to be and was twisted to the other side. But it looks like it was a real early aftermarket product that was used on the 1941 Ford. 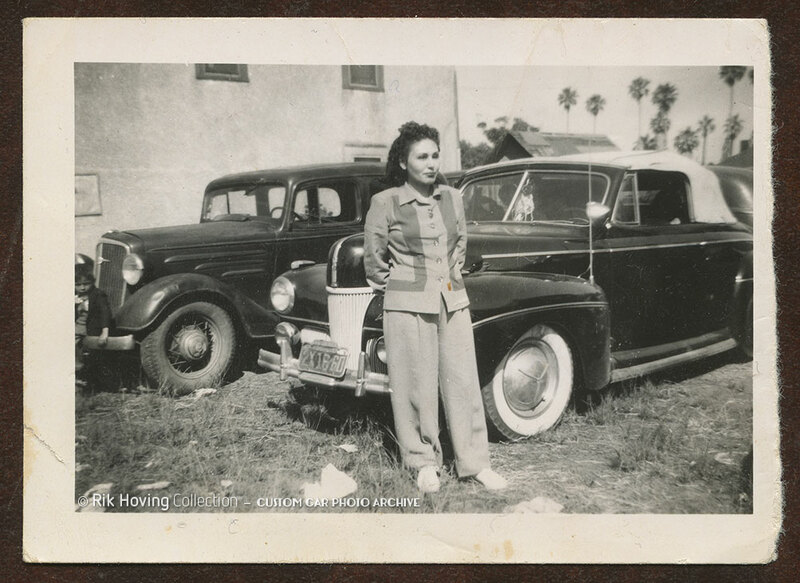 The photo of the well dressed girl in front of the 1941 Ford was taken during WWII. The Californian license plate has the distinctive “V” on the right top corner. This V (V for Victory) was used from 1941 till 1944. 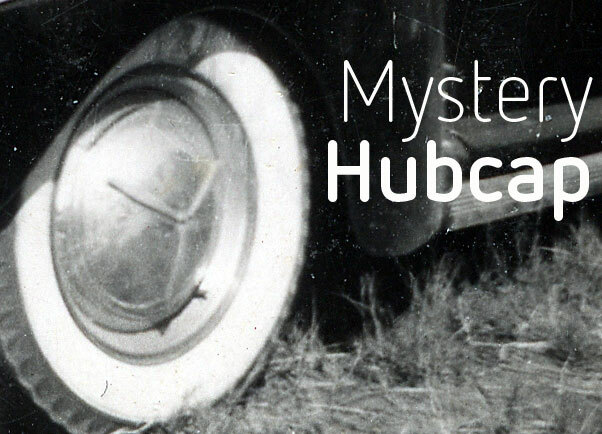 So we know the hubcaps was available very early in the 1940’s, possibly even in the 1930’s. This is the only car we have ever seen using a set of these hubcaps, and the inset photo is the only one we have ever seen from the actual hubcap. I do not think this hubcap is a very attractive accessory item, but it would be very interesting to know more of its history. 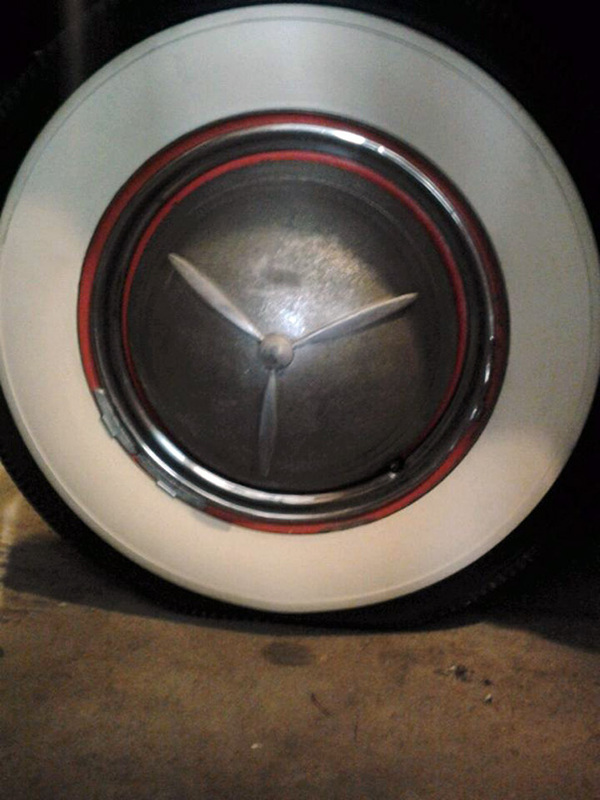 Does anybody know anything about this type of hubcap. Who made it? Eastern Customs perhaps? If you have any info on this item, please leave a comment. 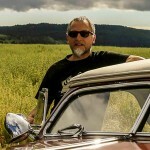 We would love to solve another Custom Car mystery. A few people have responded, most thought it was an home made hubcap. But two people mentioned they had seen the same hubcap. One was hanging on the wall in a friends house. 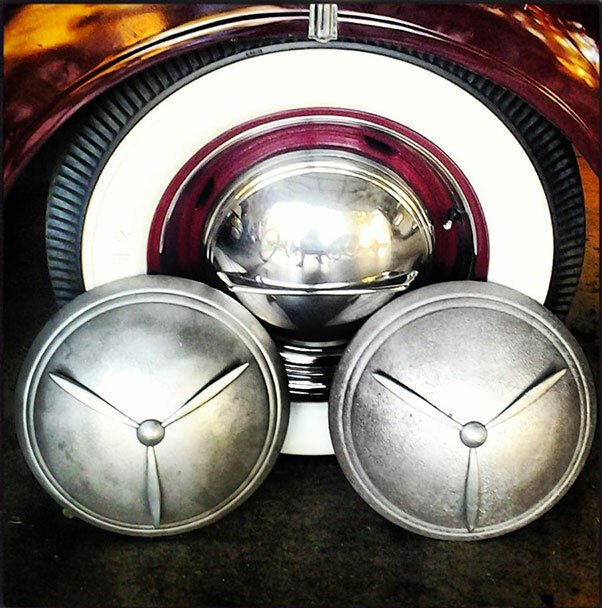 And the other (Trevor Stevens) mentioned his friend had recently bought a similar hubcap. His friend mentioned it could be an Hollywood Disk accessory hubcaps. In any event he did send us these photos.